As we head into the last weeks of summer, and you can enjoy the autumn garden, many of us will be doing everything we can to soak up the last of the warm weather. One of the best ways to do this is to create a garden snug: this will provide the perfect spot to relax and socialise as the nights draw in. With the warmer weather forecast to stay with us until October, you’ll undoubtedly be glad to have a sheltered area where you can kick back and enjoy those balmy evenings. If this sounds like the ideal project for you, just read on to learn how you can create your inviting garden snug in five easy steps. First of all, you’ll need to decide what kind of structure you’re going to use as a shelter. The best option for you will depend on the size of your garden, and how ambitious you want your snug to be: those with smaller gardens may prefer to go for a shed, while those with slightly larger spaces might be able to accommodate a summer house. If you have plenty of space (and the budget to match), then you could even build a permanent brick-and-mortar garden room. A permanent structure will mean you have a year-round space that you can enjoy throughout the colder months, but remember that you may need to apply for planning permission if your new building is over a certain size — visit the Planning Portal to learn more. Once you’ve added some shelter, you’ll need to add a comfortable seating area. Think carefully about what you want to use your snug for, and then choose furniture accordingly. For instance, if you plan to create a large snug that will be used to host lots of guests, then roomy sofa-style seating will probably be a good choice. If your snug is a smaller, more intimate space for just one or two people, then something simple and comfy, like these bean bags from Wyevale Garden Centres, will probably be more suitable. Don’t forget to add plenty of cushions, blankets, and throws, so you can snuggle up and get cosy in the evening. Your snug may be an outdoor structure, but don’t let that stop you from getting creative with your décor. Paint the exterior of your garden snug using a weather-proof paint in an on-trend shade — take a look at this collection of paint colours from Cuprinol to find one you love. If you’re painting a shed or summer house, remember to pre-treat the wood with a clear protective paint first, as this will help to stop mould and fungus and to make sure you get a vivid colour result. Don’t forget to decorate inside your snug, too. You can also paint the interior of your shed or summer house to add a pop of colour to your space, or you could add some wallpaper if you’d like to make a statement. Finally, complete your snug with a few decorative accessories — a cheerful string of bunting is a great place to start. The nights are drawing in, so if you want your garden snug to be a functional space which you can continue to enjoy throughout the autumn, then you’ll need to add some lighting. 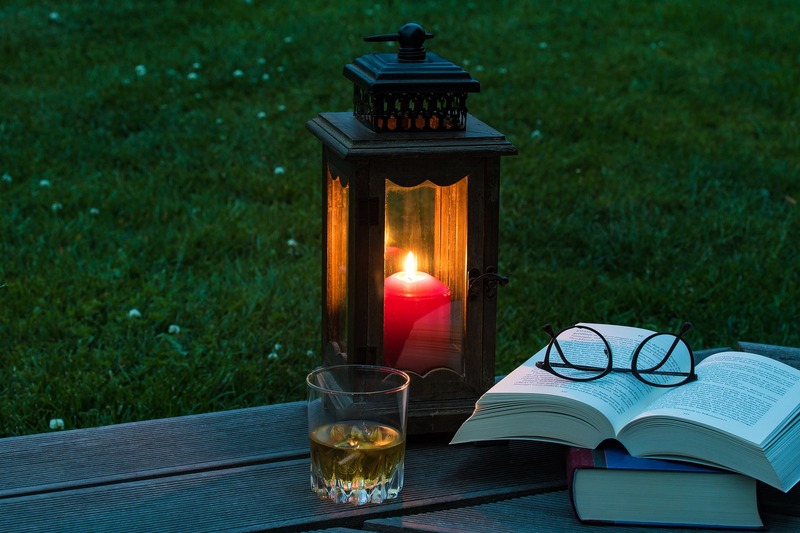 Try hanging some candlelit lanterns from the roof of your shed: tealights provide a beautiful soft glow, but to be on the safe side, use battery-operated LED versions instead. Or, try your hand at making our DIY ping pong ball lights, which will bring a gorgeous ambient glow to your new space. Nothing sets the mood quite like music, so add some smart outdoor speakers to your space. These wireless speakers by K&B Audio are designed primarily for outdoor use, and their range includes styles with Bluetooth amplifiers so that you can stream directly from your smartphone or tablet. If you’re building a brick-and-mortar snug, you could even add a projector so that you can host movie nights in your very own back garden. Looking for a way to make the most your garden as the nights draw in? A snug could be the perfect option. Follow the steps we’ve shared here, and you’ll soon have a cosy den where you can kick back and relax.